How To Eat and Enjoy Caviar! Caviar is one of the most luxurious foods in the world. These priced fish eggs came mostly from the sturgeon and salmon. 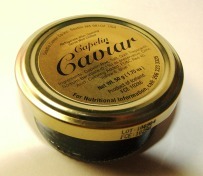 Once reserved for royalty, caviar became available for the common folk. People get addicted to the light, salty taste of the eggs. But given the high price of the roes, not everyone can afford to eat caviar on a regular basis. Caviar, particularly the Russian variety, has become synonymous with wealth and luxury. The most expensive varieties of caviar came from three varieties of the sturgeon fish: the beluga, the osetra and the sevruga. Eating caviar does not only involve dumping the eggs on a plate and scooping it up with your ordinary metal spoon. Caviar should be served over a layer of crushed ice on a bowl made of either glass, crystal or porcelain. The eggs require a special kind of spoon made especially for eating and serving caviar. It is usually made of gold or mother-of-pearl but other materials such as glass and wood can be used. One should never use a metal spoon when eating caviar; the metal will alter the much-prized taste of the eggs. Caviar is usually eaten with plain, unsalted crackers or lightly buttered toast. There are some who prefer their caviar with a drop of fresh lemon juice. 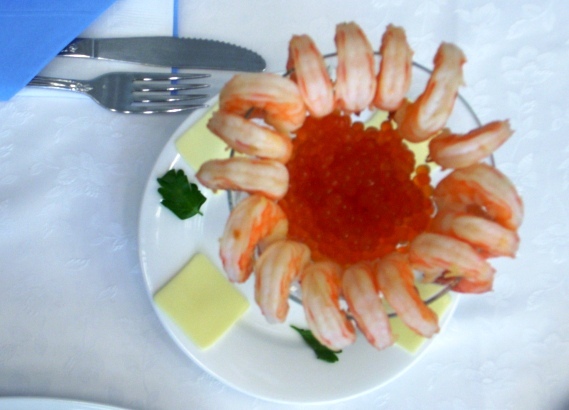 You can put garnish such as hard-boiled egg or chopped onion on your caviar. The roes are best served with champagne or vodka. Chilled white wine will also taste great with caviar. 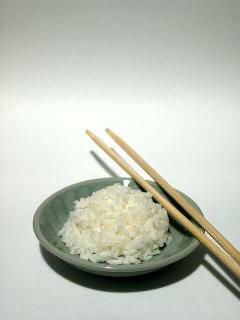 If you are on dinner parties and they are serving caviar, etiquette states that you should only take small portions. The eggs should be kept and served in the right temperature, which are 26 and 32 degrees Fahrenheit. As much as possible, you should finish the can of caviar once you already opened. If you must store it, you should wrap the tin tightly in plastic to preserve the delicate taste.